W. W. Norton & Company, 9780393338720, 109pp. Richard Hugo, whom Carolyn Kizer called one of the most passionate, energetic and honest poets living, was that rare phenomenon a distinguished poet who was also an inspiring teacher. 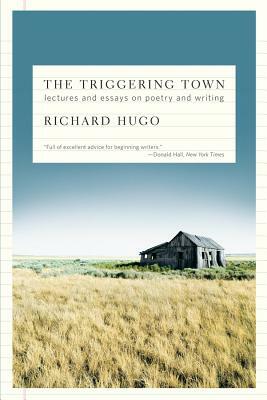 The Triggering Town is Hugo's classic collection of lectures, essays, and reflections, all directed toward helping with that silly, absurd, maddening, futile, enormously rewarding activity: writing poems. From pieces that include Writing off the Subject and How Poets Make a Living, anyone, from the beginning poet to the mature writer to the lover of literature, will benefit greatly from Hugo's playful and profound insights into the mysteries of literary creation.